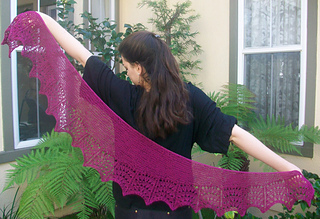 The Gatsby Crescent Shaped Lace Shawlette is reminiscent of the design elements of the Roaring 20’s. 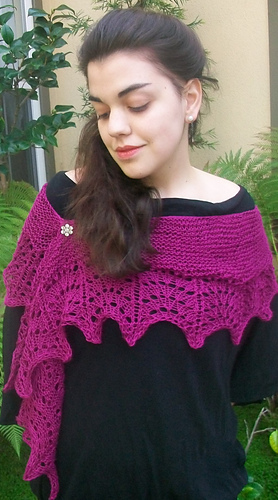 It has been said … “The tempo of the city had changed sharply; the parties were bigger; … the restlessness approached hysteria.” The Gatsby is a fun, flirty, breezy way to welcome spring or summer this year. 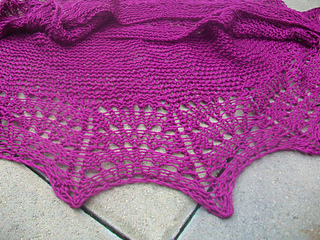 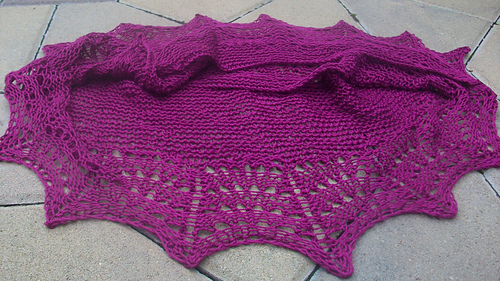 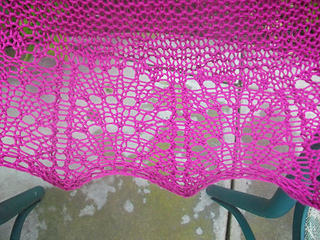 It has a long “wingspan” of over 6 feet…plenty of room to wrap around your shoulders or neck as either a shawl or a scarf, although slightly shorter than my other shawlette designs. 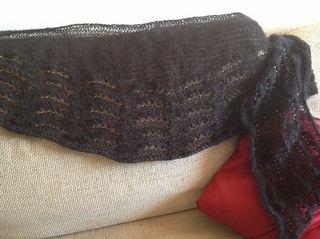 This shawlette is just a foot wide. 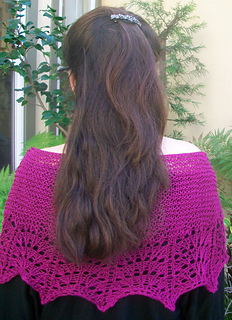 It is edged in a beautiful lace pattern comprised of scalloped arches, and is knit in a soft-against-the-skin fine 100 percent pima cotton yarn (Cascade Ultra Pima Fine in the very vivid shade of Magenta, sport weight, 2 ½ skeins) that is breathable, lightweight, and also machine washable (delicate cycle, separately, re-pin to shape flat to dry). 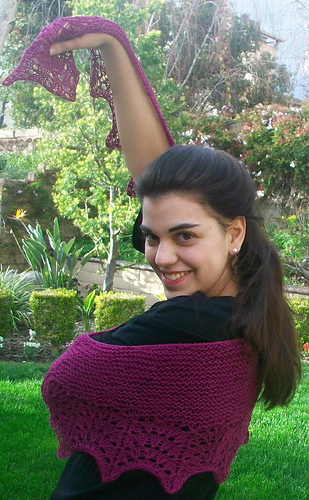 It is knit from the bottom up, starting with the lace border, and then short rows make up the body of the shawlette in garter stitch and give it its easy-to-wear crescent shape. 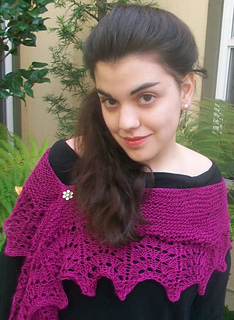 Quick to knit up, and even more fun to accessorize with!